Jerry is a Certified Financial Planner. For the past 20 years, he has regularly spoken at eight seminars a year. At his seminars, he discusses how to ensure that a client's investments are best working for them and why a happy life can lead to a long life. 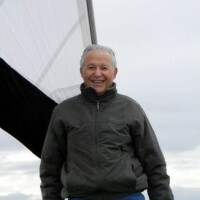 Jerry has published a book entitled "Getting to the Top: An Optimist's Key to Success in Business, Family, and Life." He is also a long-time volunteer at his church, providing food, clothing, and gifts during the holidays. Jerry enjoys singing and dancing with a musical group that he belongs to. He attributes his success to the programs that helped him to become a multimillionaire.